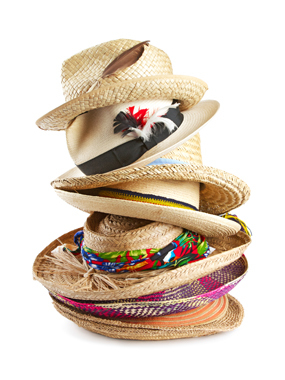 As business owners, we often have so many hats to wear in our businesses– Sales, Marketing, CEO, HR Director, CFO, sometimes even janitor….if you are transferring your Bookkeeper hat to a person to look after your numbers, don’t you want to be sure that it is sitting on the right head? Bookkeepers are still an unregulated industry in Canada and so there is a wide variety of individuals calling themselves “Bookkeepers”, when in fact, many of them are not bookkeepers, but data entry people. A good bookkeeper is someone who understands what is happening in the background of the software when they hit <Enter>. They understand the mechanics behind Payroll, GST/HST, Debits and Credits. Sometimes, as a business owner, you don’t even know which questions to ask before you hire someone. And what if you don’t know what the right answer should be? Unless you are an accountant, it’s tough. We are a Bookkeeping Firm who hires bookkeepers on a regular basis. The test was designed by accountants and we understand the variety of skills that people pass off as good bookkeeping. The tests we’ve designed were originally for our internal use only, but there are so many businesses who hire internal bookkeepers, and don’t outsource their bookkeeping. If you are trusting your financials to the another person in your organization, don’t you want to know for sure that it is the right person? Our Bookkeeping 101 Test is there to provide you with some peace of mind in the knowledge of the person doing your bookkeeping. AIS Solutions 2018 | All rights reserved.